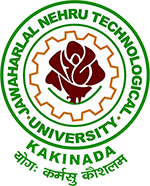 JNTUK B.Tech/B.Pharmacy 4-2 Sem (R13,R10) Advanced Supply Exam Time Tables July 2018. jntu kakinada IV year II semester advanced supplementary examination time tables 2018. JNTUK University has released B.Tech/ B.Pharmacy 4-2 Semester R13, R10 Advanced Supplementary End Examination Time Tables July 2018. Those who had Applied for the Semester Exams, they are eligible to write the exams. JNTUK is conducting these 4-2 sem exams for R13, R10 Students from 10th July 2018 onwards. hello sir plz conduct 4-2supply once again,i request you sir. Sir iam applied for r13 4-1 FEM revaluation results on April 2018 but my name is not there in revaluation list please sir i want result iam begging sir my contact number 8499969625 u need any information please contact this number sir. b.pharmacy r13 2-2 supply pettara????? ?epudu pedataru????? sir.,when will be the 4-2 advance supply results will be released ?? without releasing the result how u ppl can conduct the pgcet counselling ?? then whats the use of conducting advance supply ?? sir.,when will be the 4-2 advance supply results will be released ?? without releasing the result how u ppl can conduct the pgcet counselling ?? then whats the use of conducting advance supply ? ?